So back to writing. Let’s look at catharsis. I began writing poems and stories at a young age. In Zimbabwe we had writing competitions that were called, wait for it, given I now live in Wales: Eisteddfods! These must have been instigated by Welsh pioneers (can I still use that word?). Through these poems and stories I was able to exorcise the monsters of my imagination. At other times I wrote poems about cats. Because, though I loved them, I was allergic to them. Thus, in writing I got to excavate as well as celebrate. It is the excavation I am going to dwell on here. As a young child, I quite literally lived in my imagination. I was a solitary kid that did not make friends until I was six, when Caroline from down the road became my best friend. I grew up during the war for independence in Zimbabwe. There were attacks by the ‘terrs’ – terrorists - bombs going off in the city and people being shot away on the farms. Growing up in a fractured family where all sorts of things were going on under the carpet, there was plenty of material to deal with, and deal with it I did, through constructing imaginary worlds where the monsters were dispelled. I devoured Enid Blyton books and then recreated the narratives for myself and played them out in the trees in our garden. I often recreated my own world, often imagining a place where adults did not exist. I would imagine being rescued in a small sports car driven by Anthony Puffleadies (that’s the phonetic spelling of the Greek name of a blonde, blue-eyed boy who was to rescue me from the world I lived in and take me to another, more civilised place ruled by small people; I was in KG2 at the time, as I recall). Narratives: changing and constructing narratives began early and have remained with me. As I grew up, the imaginings, poems and stories developed into the keeping of journals where all sorts of thoughts and feelings were worked out: a cathartic exercise I still engage in, thought the keeping of a daily diary stopped when I began to write ‘seriously’ in my thirties and was published for the first time – as a journalist, and later as an author. When I became a Jesus believer in my early thirties, I began keeping prayer diaries, in which I worked out what I believed and what I didn’t. I find that writing literally helps me to work things out – out of my system. When I taught writing to women that were in recovery, I taught them to write ‘unsent letters,’ letters to people that had hurt them that were burnt, ripped into small pieces or screwed up and thrown into the waste paper bin. I practised this technique myself – via email – but this is a dangerous practise on more than one occasion I have accidentally sent them – usually to my mother. Stick to paper for this technique. All of these outlets help. I could not have got through my life without the transforming power of my pen. I have ‘writed’ all sorts of wrongs through my writing, from the personal (former family events that have been painful) to the socio-political – in #AftertheRains. When I studied psychoanalysis I discovered what I was doing with what mysteriously floated up fro the depths to the surface of my imagination, was called ‘displacement.’ Placing people and events where I felt they belonged, can have the effect of these events actually happened. Bonkers, but true. One can really write life ‘true,’ true for you: true, as things should be. Authentic writing always holds painful truths in its fascinating amber. Emily Barroso the Zimbabwean author of 'After the Rains.' She is trying to be a wife, mum, homeschooler and author all at the same time with varying degrees of success. She is currently 'working' on her third novel, part two of the 'Big Men's Boots,' trilogy and also on trying to keep on top of the mountain of housework, but she keeps sliding down and having to climb up again. She is always grateful for any kind of assistance. Please see her bio at www.emilybarroso.com for more. Top 200 Parenting Blog of 2018! 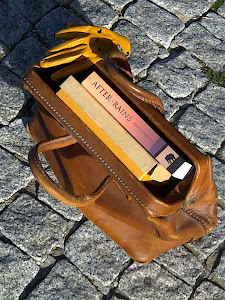 Shop for "Big Men's Boots"
Shop for "After the Rains"
Click the image and pick up your own copy!